Tis the season for holiday DIY Beauty gifting! Join us on December 1st at Seven Shores in Waterloo to learn how to make your own products, perfect for your next secret Santa. 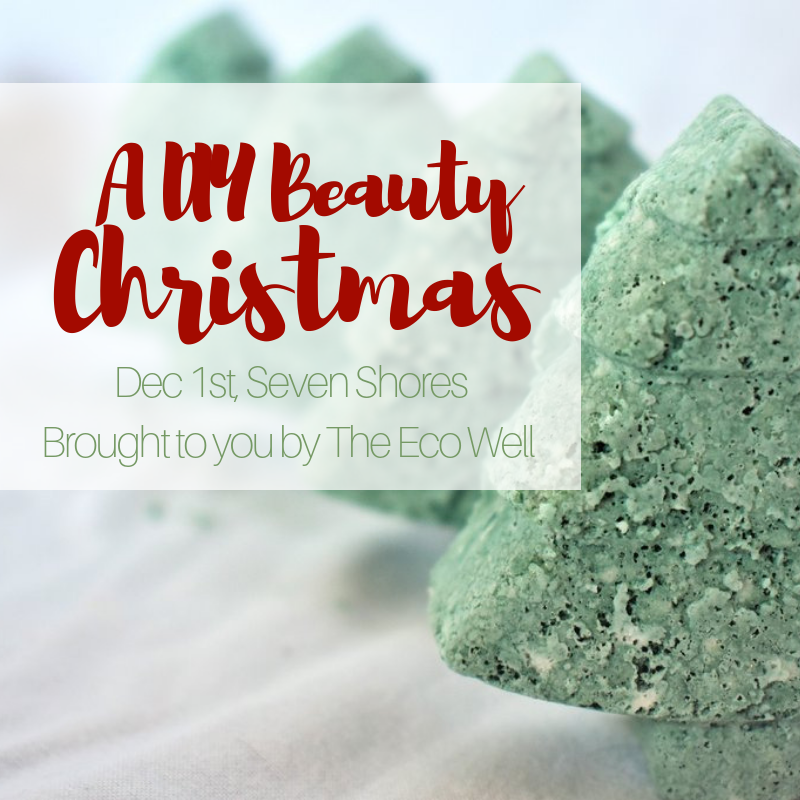 Get in the holiday spirit with us and learn how to make you're own Christmas themed bath bombs, body scrub, and lip balm, made by you and take home! Tickets include all the materials and supplies, 3 take home products, a recipe booklet by The Eco Well, and festive vegan eats prepared by Seven Shores. All ingredients used will be natural and vegan. Limited tickets, get em' while they last!